Potential Difference: Potential difference between two terminal of a conductor is the work done while carrying unit positive charge from one terminal to the other terminal. Unit of the potential difference is volt. 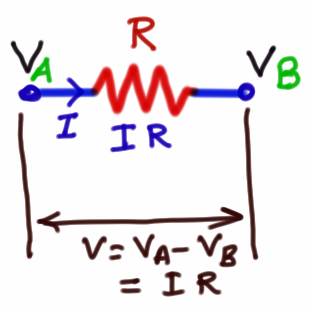 1 Volt is equal to 1 Jouls/coulomb. Potential difference is measured by voltmeter.